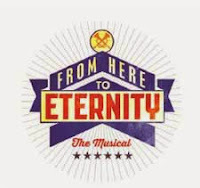 With the news this morning that From Here To Eternity will not extend its run at the Shaftesbury Theatre when the current booking period ends next April, Sir Tim Rice has just tweeted: "FH2E future not all grim. We have to leave Shaftesbury in April but if houses continue to improve we shall find a new home! Cast/crew on fire!"